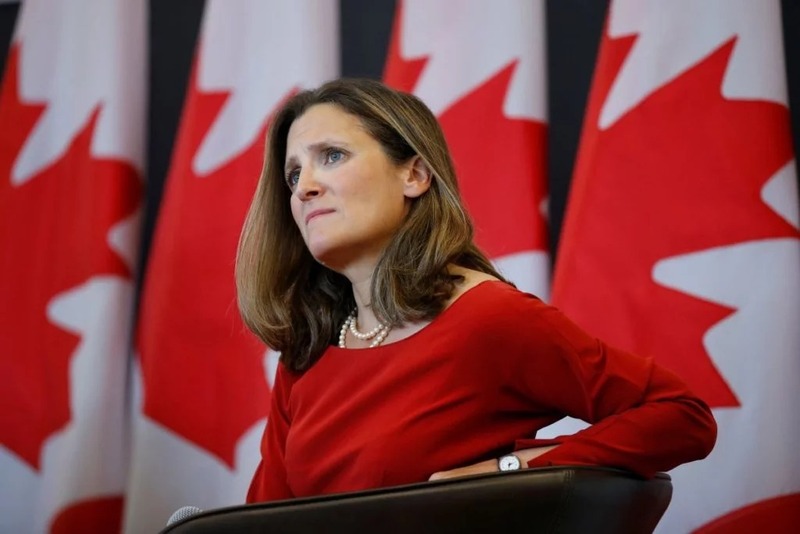 Foreign Ministry of Canada Chrystia Freeland thinks that the cooperation between Ukraine and Canada in the cyber security sphere allows both states to adopt the leading experience of the confrontation to the third-party interference in the democratic process as Ukrinform reported. “The high-ranking American official recently said to me that Ukraine is the Russian lab for the research of the hostile interference, so, the interaction with Ukraine provide the possibility to the U.S. to understand what is taking place and how to defend the country. Canada has the same opinion,” Freeland said. She emphasized that the cooperation of Canada and Ukraine is “really mutually beneficial, when the issue is about the defense of our democracies”. “We have the grounds to concern on the hostile interference in our democracy. It definitely takes place and we need to look for the ways to resist it with the approach of the elections,” the minister said. Earlier it was emphasized that the Canadians will be vulnerable for foreign interference during the federal election this autumn. Besides, Canada was concerned about the presidential election in Ukraine to be transparent and provided $ 25 million to ensure security from external interference attempts.